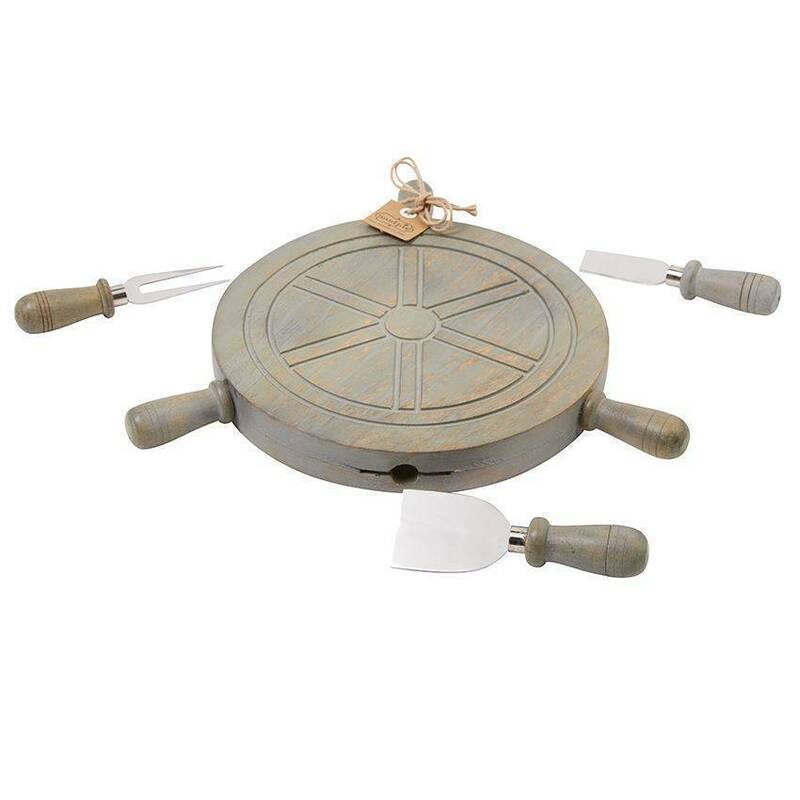 Gray-washed mango wood ship wheel cheese board features three removable hidden serving utensil notches. Great to use when hosting friends and family at your lake house! 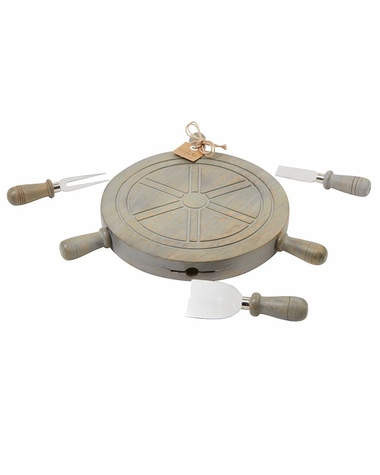 The 4-piece set includes the board and three utensils that tuck into the board when not in use.